Breakfast: We are down to four more performances of Into the Woods and then we go back to the concrete jungle of NYC. We have little food left, just enough (I hope) for the next few days. 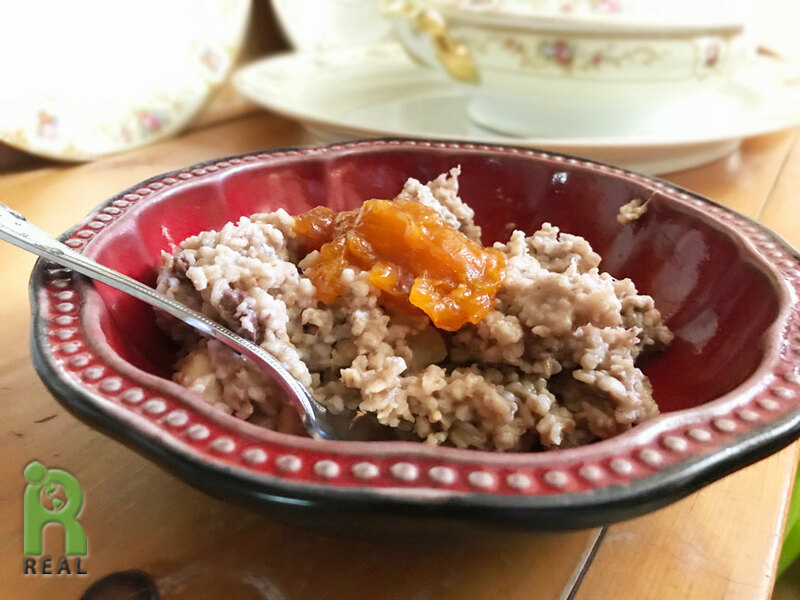 I made the last of the Steel Cut Oats and topped it with Apricot Jam, given to us by Tonya, one of our cast members. We are basically out of nuts, seeds and fruit so it was nice to have the jam to flavor the oats. Dinner: After the first show, the Adult’s matinee, I needed to hunt for food. I drove over to Whole Foods for one of their Bean Bowls. I like everything about it except for the unnecessary oil and salt added to the Black Beans and the Brown Rice. 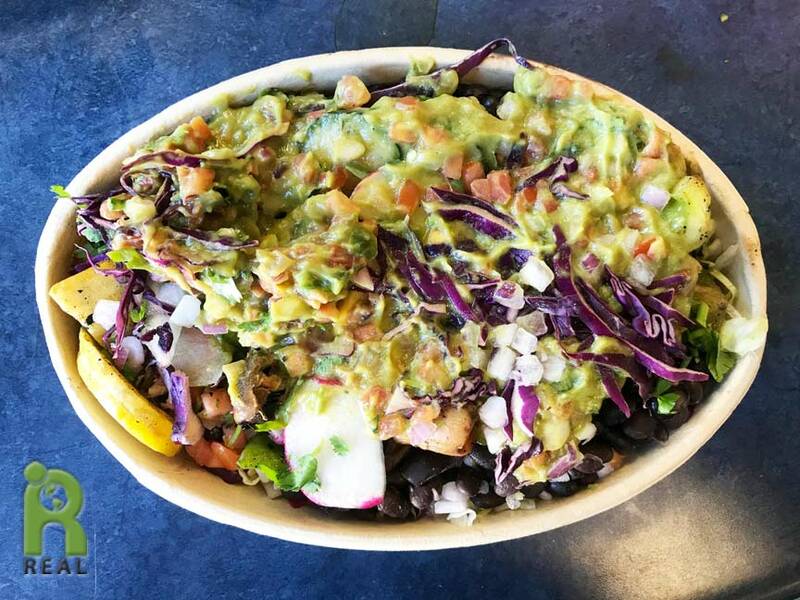 It had Red Cabbage, Romaine, Radish, Cilantro, Red Onions, Pico de Gallo and Guacamole. I knew I would pay later. I got one for Gary to. They had organic Cantaloupes on sale there too so I picked up two. After eating my salty Bean Bowl I devoured half a Cantaloupe to rehydrate. Evening: Another two shows down! Two more remain. We can do this! 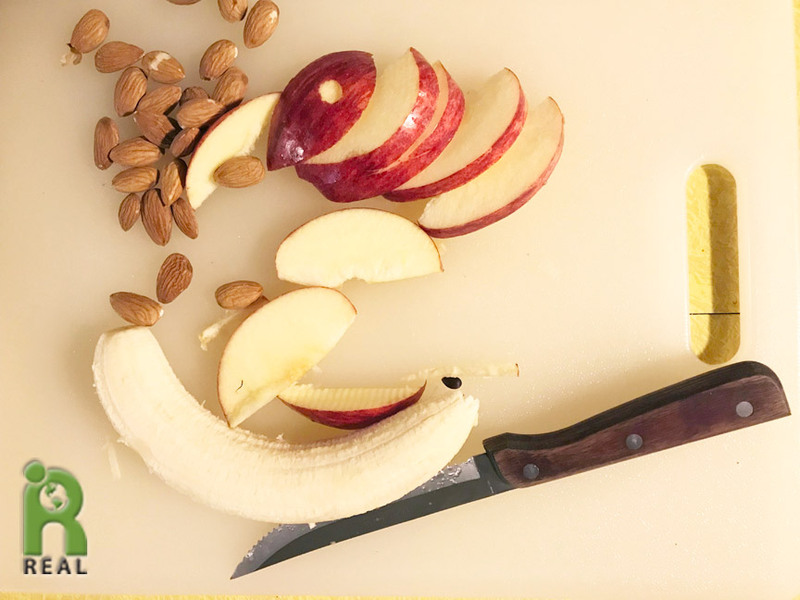 We noshed on sliced Apples, Almonds and a Banana for our supper appetizers. Then I cut up the other Cantaloupe I had purchased earlier in the day.